How to troubleshoot a WD hard drive slow response? 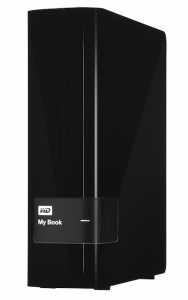 WD My Book Pro (this is a RAID system. In order to work with this type of system, you need PC-3000 RAID UDMA utility. All hard drives will need to be imaged and then run RAID data extractor utility to rebuild RAID in PC-3000 virtually to have access to user data). We’re talking about hard drive slow response when the drive takes a long time to be detected. The drive randomly drops its performance. The reason of this slow down is that the drive is starting to have bad sectors. This creates a huge log. Sometimes, it isn’t even recognised, in which case you need to try to connect it with a USB connector to see if the light on the drive comes on. You can try to go to disk Management in Windows, and see if it’s found in there. In disk management, you can do refresh and if nothing happens after five minutes, you are not going to get the drive to work this way. The next step is to dismantle the WD drive and take it out of its casing. Once you get the drive out, you’ll notice with the WD My Passport that the connector is a 3.0 USB compared with a regular 2.5 inch hard drive that uses a SATA connection. On a WD My Passport, the PCB will have the part number 2010-771961 and will be compatible with a 2010-771960 from a standard Western Digital SATA board. For the PC-3000 to work, the SATA connection needs to work. Once you have found the matching board, the next step is to desolder the ROM Chip U12 from the PCB board with the USB 3.0 and solder it onto the SATA PCB (2010-771960) having taking the ROM chip from the board first. You can also convert the USB to the SATA by soldering your own SATA connector but you need to remove some capacitors E71, E72, E73 and E75. For more information about doing this, you can get in contact with us or look at the HDD Gurus website. One of the major issues behind a WD hard drive slow response is module 32 also known a Relo-List. In order to repair this module, you need PC-3000. How to fix a WD hard drive slow response? WD hard drive slow response: how to fix it using PC-3000? Data recovery softwares like R-Studio can help in cases of a slow responding hard drive. It allows to detect unrecognised partitions in Windows. For example, if your hard drive cannot be detected in Windows, R-Studio will be a good start. It can deal with deleted partitions, scanned partitions, reformated hard drives and data removed by viruses. If using the software doesn’t help, you will have to get assistance from a professional data recovery company. 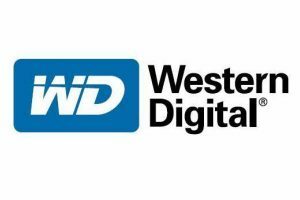 Creative IT uses PC-300 to fix and carry out data recovery on Western Digital range of Marvell drives that have no mechanical issues or damages to their PCB, heads or platters. These drives power on but are slow to respond and to access the service area modules and the data stored. The aim of our procedure is to fix the drive to make it work fast like it was when it was first bought. These are the instructions, as given by Ace Lab, to make the drive work faster. You need to start the hard drive in Kernel mode in jumper settings. The way you start the hard drive in kernel mode is by isolating the head with the spindle contacts. Otherwise you can short the pin E47 on the PCB board. Auto detect should work but the status registers will be off and the ID won’t be detected. You then need to go to SA regions in Sector editor to work with ROM. Click on Do it now and Block SA access. You then power off the drive, take the isolation out and screw the PCB to Hard drive assembly (HDA).You can then power on the drive. Once again, start the utility in Kerne mode, load DIR into RAM by using the Work with RAM option. Once this is done, exit utility and start in Normal mode. The hard drive will start with a default serial ID. Save Service area modules by ABA settings. You need to make sure that you examine the heads at this point. Open the drive and look with a magnifying glass if the heads are not displaced and ensure they are not located on the head stack and that all are present. You then go to Work with service area, click on Solve Slow responding problem doing it by ABA and copying 0. The click Work with ROM, SA regions editor, Allow SA access and press OK. You can then power the drive off and on, exit and enter the Western Digital Marvell utility. The drive should now start as normal, with full ID, SA and access to user area access. Here again, you need to start the hard drive in Kernel mode in jumper settings. Auto detect should work but the status registers will be off and the ID won’t be detected. You then need to go to SA regions in Sector editor to work with ROM. Click on Do it now and Block SA access. You then power off the drive, take the jumpers out. You can then power the drive on again and start the Kernel mode in utility. Load DIR into RAM by using the Work with RAM option. Once this is done, exit utility and start in Normal mode. The hard drive will start with a default serial ID. Save Service area modules by ABA settings. You then go to Work with service area, click on Solve Slow responding problem doing it by ABA and copying 0. Afterwards, you go to Work with service area, click on Solve Slow responding problem doing it by ABA and copying 0. 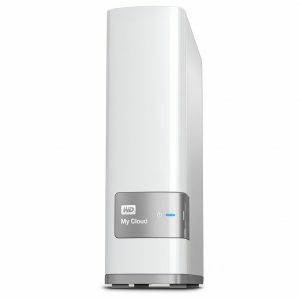 The click Work with ROM, SA regions editor, Allow SA access and press OK. You can then power the drive off and on, exit and enter the Western Digital Marvell utility. The drive should now start as normal, with full ID, SA and access to user area access. This article gives you an overview about why you can get a slow response from a hard drive that hasn’t suffered any physical damage. It also gives you some instructions about fixing it and making it work faster. If you have any comments or would like to add anything, don’t hesitate to get in touch. We will also be more than happy to help you if you feel daunted by the idea of carrying out the diagnostic tests yourself.